In Analogy puzzles, one type of analogy is given which relates two objects or pictures. With the same logic which is used in one analogy, one has to solve another similar analogy. Here is analogy puzzle for kids. Can you solve this analogy puzzle as quickly as possible? Can you solve this analogy puzzle? Answer to this Analogy puzzle can be viewed by clicking on button. Please do give your best try before looking at the answer. 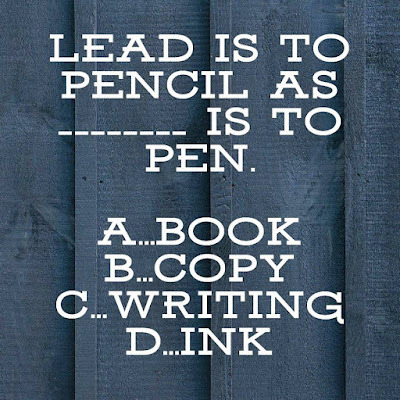 The Answer is INK. 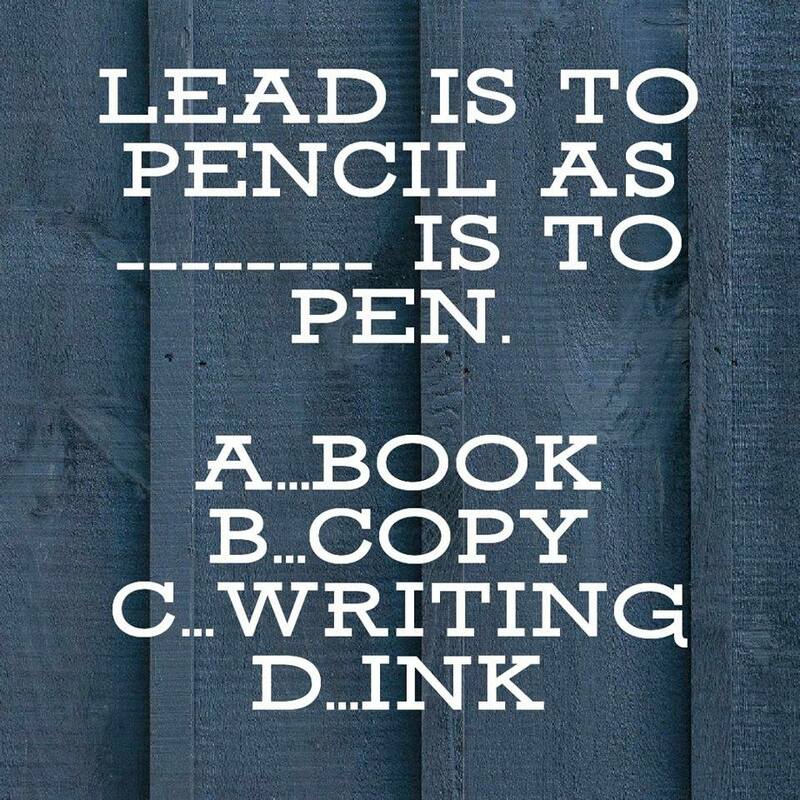 Lead is part of Pencil which makes Pencil to write. Similarly ink is part of pen which makes it write.